Merry Christmas everyone! Let me take this opportunity to thank you for your support for the past years. You give us a reason to continue what we are doing. Again, a big THANK YOU! Our last pop-up market for 2013 will be this weekend, Dec 28-29, at the National Library of Singapore. It is organized by the Public Garden team. If you are in Singapore and around that area, do drop by. We will be selling our handmade 2014 planner. There are limited stocks so be sure to come early :) Details are in the poster below. It was a very fulfilling weekend at the National Museum of Singapore on the weekend of 23-24 February. We were there as part of Public Garden. It was there that we 'quietly' launch a new product, the handmade paper. The handmade paper is a product of the Value Farm and it is based in the Philippines. To know more about them and their cause, you may visit their website in the link I provided. Last weekend, we've brought new journals at the Flamingo Shoppe. The shop is located at 16A Haji Lane (Singapore). They are at the second level. If you were not able to catch us at any of the craft/flea markets, you may still get our handmade/homemade notebooks and journals there. 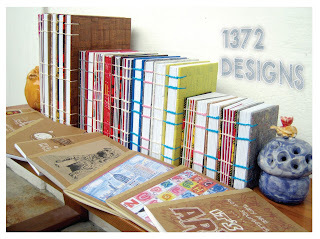 Here is a photo of some of our journals. Our journals are in the center and front. Some designs are only available in Flamingo. 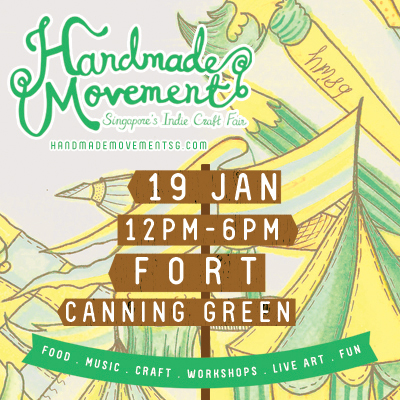 We will be joining the inaugural Singapore Handmade Movement Craft Fair on the 19th of January, from 12 noon to 6pm. We have lots of new stuff to share with you. So mark calendars and come down to Fort Canning this weekend. Hope to see you there! Pictured above is the Binondo Church located in the old downtown of Manila. It is very near Chinatown. You can search it in google if you want more info. You may find the directions at their website here. We have lots of new trash err notebooks for you :) See you! Thank you for visiting our booth at the Singapore Gifts and Stationery Show at the Marina Bay Sands Expo. You must be here (at this site) to know more about us and what we do. You can check out our "About Us " link. 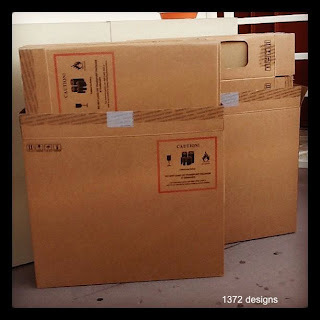 1372 designs' main aim is to make use of existing items (recycle). Transform (redesign) it into a new functional item so it can be reused. Apologies for not having any handouts/brochures. There are a lot of unwanted handouts going around and we don't want to add to that. We all know where it will go, right? Just send us a mail if you need a brochure and we will gladly send it to you. 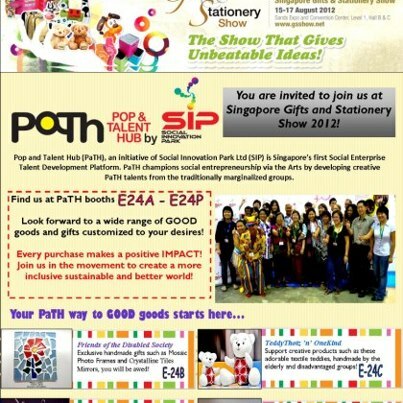 Here is the brochure from PaTH's FB page. I discovered this song from Heather Small while searching for "opening ceremony olympics" in youtube. I learned also that this was the song they (England) used for their Olympic bid. It was a nice song with great and powerful lyrics. So, to answer that song, yes I did something last week that made me feel proud. 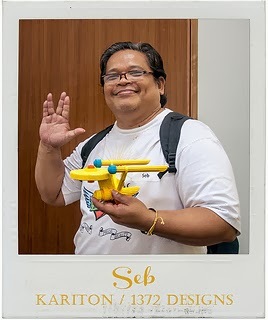 I made a 'bald statement' in support of the Singapore Children's Cancer Foundation. A lot of these kids don't have a choice (to be bald), but me I have. For me, it's just bearing the humiliation and looks of pity from other people but for them, they're also in pain :'( By doing this, we (volunteers) can at least alleviate their pain. You can also do your part and donate. Hair for Hope is still accepting donations and volunteer opportunities. On another note, will be participating in the Singapore Gifts and Stationery Show (SGSS) on 15-17 August 2012. It'll be at the Marina Bay Sands Expo and Convention Center. We're joining as part of PaTH/SIP. On 18th of February (Sat), we will be joining Public Garden at the Goodman Arts Centre. It will be in conjunction with an event by the National Arts Council and Noise Singapore. Do you know that there is an artist called Sisley? Alfred Sisley. Me, I didn't until last week! All I know is that Sisley is a brand of bag which is always beside Benetton in most shops. Now, I need to search if Benetton is also a person (anyone here knows?)... whoa, too much for educating my daughter, 'think I also need it... darn! This is Alfred Sisley's work titled "Spring, Aspens and Acacias". this is her (at the left) busying herself while we are inside the museum. the boy on her right might've been thinking the same thing. Hi there! Another week has zoomed and I was only able to make one journal, hay :( anyway, tomorrow's a new week :) looking forward to the long weekend ahead. We've got new trash! It's becoming a habit now but what can we do? It's just there, waiting for the recycling truck. It's still new... so to make the long story short, we took it. 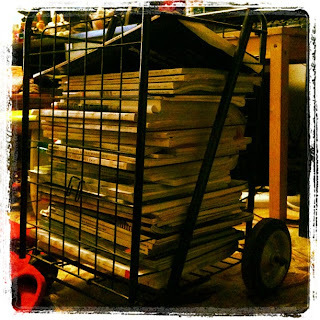 And it's safe in the trash err craft room waiting to be transformed. Watch out for it! First things first, I will skip MAAD this Friday (13th Jan). I am low on stocks and new designs. But definitely will be back on February. Like me on facebook will you? So you'll be updated. It's easy to put updates in FB than in blogger.